You do have to live in your home, so making it feel like “home” can be a very important task to take on. Not everything in your house needs to be “safe” or appeal to others. Ensuring your home still feels like you, but doesn’t feel too “out there” can be a tricky proposition for some. Here are some easy tips to help get the job done. Using color to highlight your personality in your home is one of the easiest ways to bring yourself into your design plans. The good thing about color is that the possibilities are almost endless. A unique wallpaper can also help you achieve the task of adding color or patterns into a room. Maybe use your favorite colors in your paint choice or furniture selections. Or, if you think that is too bold of a display, using it to accent your room with throw pillows or to bring attention to a certain aspect of the design, like a throw rug works just as well! Plants not only add a pop of color to your home, but if you are into the real thing, they can even add life! Vases also can help to add personality as they come in various designs, shapes and sizes. Maybe add your favorite flowers to a vase on the kitchen table or living room mantle, a lot of faux plants even look like the real thing now so don’t worry if you don’t have a green thumb. Lamps come in thousands of shapes, sizes and designs. Finding a fun lamp that grab’s attention can be the centerpiece of any room, or the perfect accent on a bedside table. The right lighting can also emphasize certain design aspects of a room. Bring character into your dining space by adding a chandelier or overhead lighting with an ultra-modern design. The perfect rug can help add color, texture, pattern, art or even an illusion of space to a room. Utilize rugs to help divide a room, as an accent or even to just add a touch of personality! A rug can help give a room the feeling of being complete and even add a feeling of coziness. Do you have a unique hobby or collect cool treasures? You can use these items to decorate your home and bring a little of you into the room. If you’re into music maybe hang up some records on the wall or if you’re an artist, why not hang up your own art around your home? Have achievements and awards you want to share? Bring them out and put them on display! Be proud of the work you’ve done and if it makes you happy, showcase it for everyone to see. Memorabilia and photos are also great to put on display in your home to add personality to any room. Adding in images that show who you are and tell your story can bring you comfort and make your house feel more like a home. 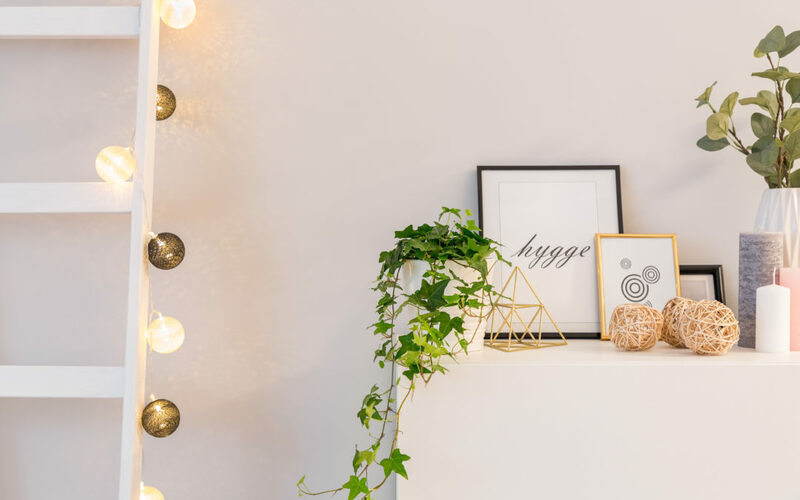 Using unique frames when hanging up photographs and art can also allow for more creative and unique ways to incorporate yourself into the room. Always keep in mind that it is your home so it should mirror your tastes and inspiration. Not everyone has the same tastes, so don’t always expect to feel at home with the fresh from the catalog look. Add personality to your home and make it feel like yours. Little personal additions and statement pieces will likely become favorites in your home for you and for your visitors. If you would like help getting started and making sure you aren’t getting lost in your design, contact me, Designer Dez today!